I’ve enjoyed posting this week about my crafty heritage, but today I’m going to update some of the different projects I’ve been working on. First, I finished my sorbetto blouse!!! I still need to press it but I’m going to call it done. 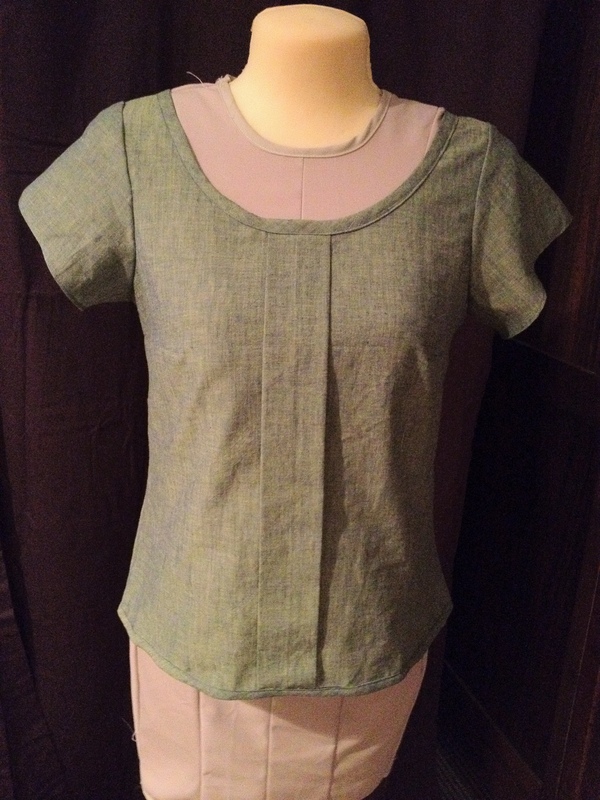 I like this pattern – it’s very simple, and I like the neckline. If I make it in the future, I’ll use a different kind of fabric (something with more drape; this is a chambray and it’s kind of crunchy). I’ll also make it about 2 inches longer. And, I’m not sure I like the sleeves. Maybe should have stuck with the original pattern and just made the blouse sleeveless. Future sewing plans…. Not sure right now. But with Project Runway on, I definitely feel drawn to sewing. Even though it’s crazy hot here, fall is around the corner, and I have some gray stretch wool fabric and the pattern for these pants. I’ve never made pants before! And the Colette blog has a sew-a-long from last fall (including a ton about fitting) so that’s probably next up in the sewing queue. 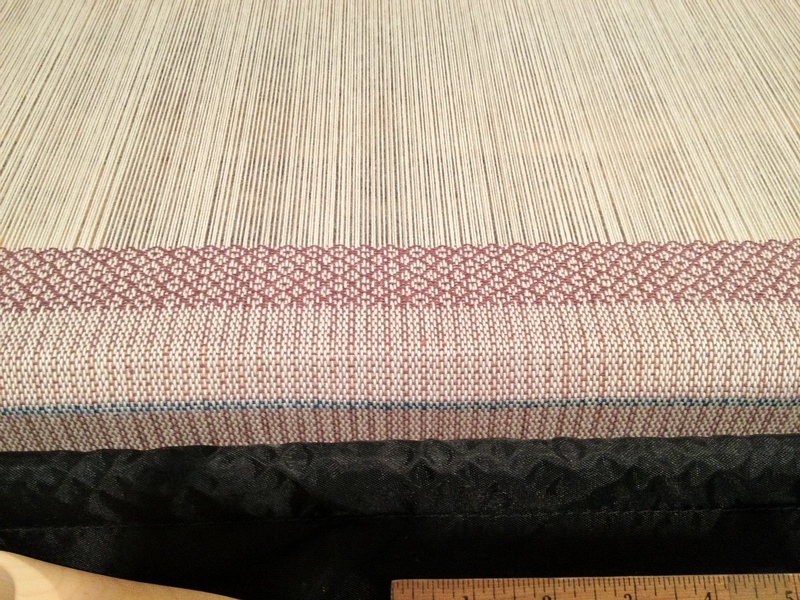 Progress on other projects: First, on the loom, my set of towels is moving along quickly. I’m on the third towel already. 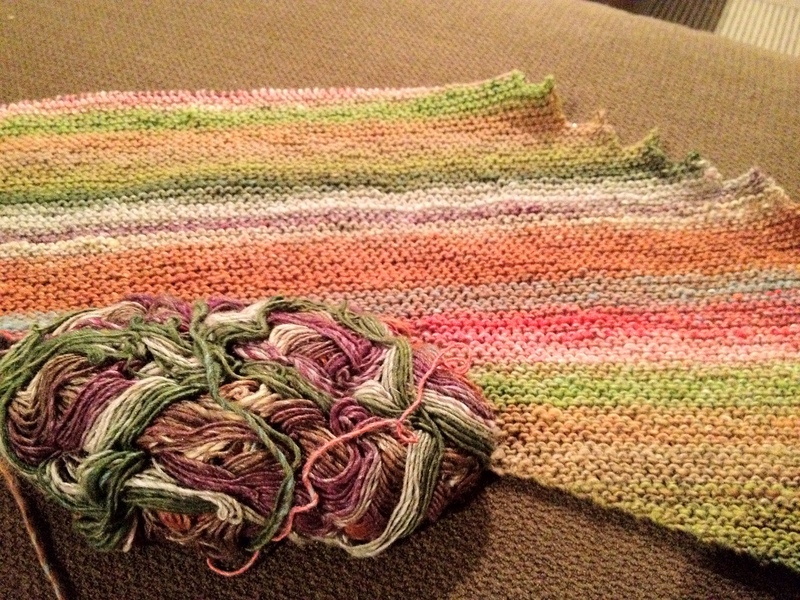 It’s crazy how fast weaving is compared to knitting. 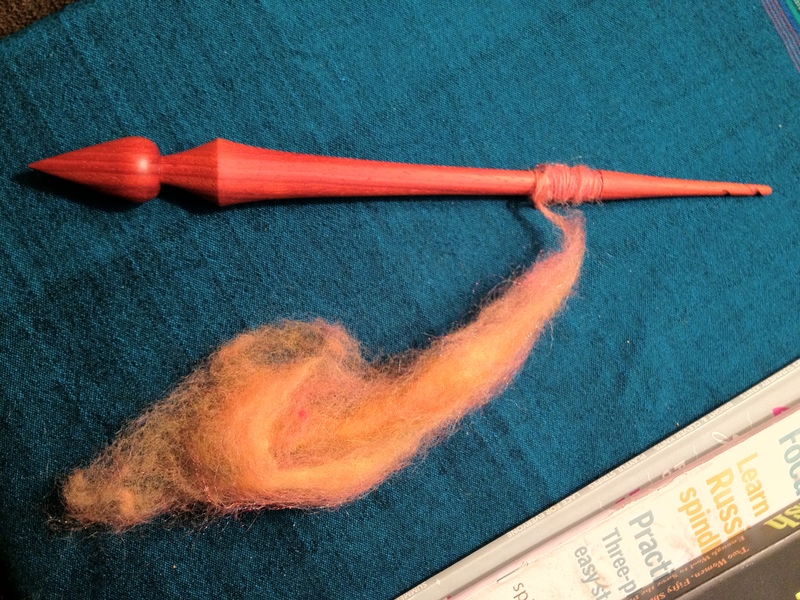 Just so that my other crafts aren’t ignored, I also did a little spinning yesterday on my new support spindle from Lisa at Gripping Yarn. I’m still getting the hang of support spindling (and I’m trying to switch drafting hands – eeek!) but it’s relaxing to mess around with this while watching the TV. Wow, so many great projects. Your Sorbetto came out beautifully. Nothing wrong with crunchy. 🙂 Color is so nice, and the sleeves look great. Good luck with all of the fun things in your queue. Wow – multi talented! How do you decide what to work on? I wish I could sew but haven’t had much practice. i really like your sorbetto with sleeves!